The 2019 Sundance Film Festival is winding down this weekend and some many amazing films had the opportunity to shine over the last few days. As the Festival Host State, Utah Film Commission gave attendees who visited the Festival Co-op in Park City the chance to experience some of the iconic films and locations that make Utah a favorite destination for filmmakers and outdoor exploration. We also highlighted our Utah Film Tour by providing an interactive look at films that have been made throughout Utah over the years. Visit film.utah.gov/utahfilmtour to experience the Utah Film Tour. We also want to congratulate Utah-based director and screenwriter, Robert Machoian who was presented the Short Film Special Jury Award for Directing for The MINORS. The film depicts a slice of life about a grandpa and his grandsons, the future and the past. Visit sundance.org for more highlights from the 2019 Sundance Film Festival. Congratulations to our Next Level Grant Program recipients! We're proud to announce the four projects that were awarded the Round 1 grant. 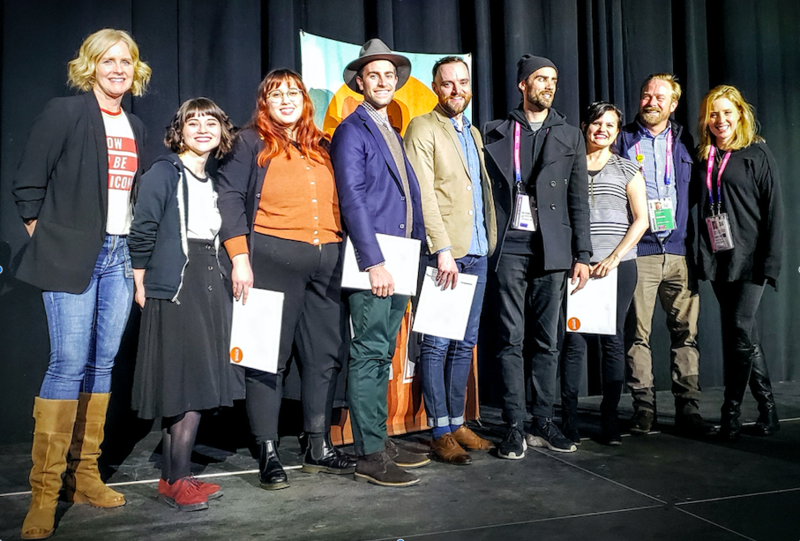 The grantees were announced at the Welcome to Utah Reception hosted by Utah Film Commission at the Utah Film Studios on Monday, January 28th. Local Actor/ Director/ Producer Amy Redford, as well as Utah Film Commission's Director Virginia Pearce and Production Manager Derek Mellus helped in making the announcement. Submission deadline for Round 2 of the Next Level Grant Program is March 31, 2019. Learn more.